​Most homeowners have made a sizable investment in the structure of the home and surrounding landscape. Protection of both is a priority. Not everyone, however, is aware of the damage that can happen when there are no rain gutters in place, or when they are not working properly. Excessive amounts of water can flow into the wrong areas and wash the soil away from the very foundation of a house. The best way to avoid this type of damage is to make sure that your current gutter system is in excellent working condition, or if you have not yet installed a gutter system, get one in place. The best reason to go with aluminum gutters is that they are built to last. Vinyl gutters are a good choice as well, but they have a tendency to crack and in most cases, do not last as long as well maintained aluminum gutters. Aluminum is not as easily affected by the heat of summer and is more resistant to bending and cracking from constant exposure to ultraviolet rays and other types of weather. Which is best, Do it yourself or professional aluminum gutter installation? This depends on your skill level, the equipment that you own and the amount of spare time that you have to spend on the project. You could possibly find a good deal on aluminum gutters at our local Mishawaka, IN Home Depot. There is also a good selection of aluminum gutters at our Mishawaka, Indiana Lowes. They generally stock a variety of supplies including aluminum half round gutters if this is your preference. 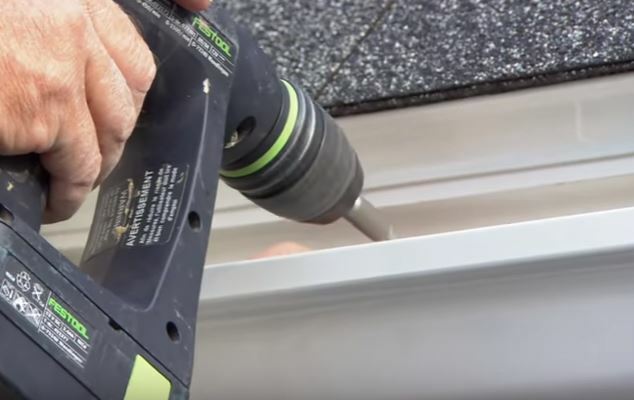 Some homeowners are very good at installing guttering systems, but if you don't have experience and the right tools for the job, it could end up costing you more in the long run. You may have more difficulty in finding the aluminum gutters colors that match your existing guttering system or exterior of the building that you're guttering. This is one of the reasons why going with a professional company can save you time, effort and money. In addition to having difficulty finding the perfect color, you may run into issues with the actual installation process itself. What could be a fast and easy task for a person with expert knowledge, can turn into a time consuming nightmare for someone who is just learning. There may be unique areas of the home that call for customized fitting or alternative drainage plans. There is also the chance that materials will be cut wrong or installed incorrectly. If they become too badly damaged in the process, the material waste could become expensive. Where can I find reasonable help with aluminum gutter installation in South Bend, IN?